Princess Guari is a fierce and calculating young warrior who will stop at nothing to take back her stolen kingdom of Bharata. Prince Vikram, cerebral and clever, is the reluctant and despised heir to the throne of Ujijain. They grudgingly join forces to undertake a dangerous journey to the Tournament of Wishes where each hopes that they will be victorious and win their deepest desire. They must use their combined strengths to outwit and outfight murderers, tricksters and magical obstacles. Guari is determined to be the sole winner, but slowly realizes Vikram is more capable - and interesting - than she first believed. Can both achieve their wish, or must one of them be lost forever? 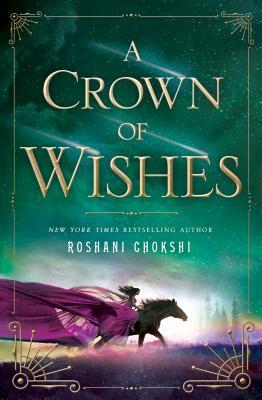 A Crown of Wishes brings back the exotic and enchanted Indian-inspired worlds vividly imagined in Choksi's debut The Star Touched Queen. Fans of Victoria Aveyard and Kristen Britain will revel in this feisty new heroine.